A defective hip replacement implant can lead to serious problems for an unsuspecting patient. Many of these devices have been shown to fail completely, become loose and cause pain and discomfort, and even release shards of metal into the patient’s bloodstream, causing a form of blood poisoning known as metalosis. These defective hip implants have led to the need for second or even third surgeries and extended painful recovery periods with time missed from work and away from home and family. These defective hip devices have also been the basis for many personal injury lawsuits. A personal injury lawsuit involving a product is often called a products liability lawsuit, but regardless the specific legal terminology, we are often dealing with a negligence-based cause of action. Essentially, a patient is claiming that the medical device manufacturer did not conduct itself in a reasonable and prudent manner, with regard to a medical device it manufactured, so as to prevent foreseeable injury to foreseeable persons and property. These are essentially the same elements from any negligence lawsuit, but in a defective hip implant case, the actual standard of care will be related to how another (reasonable) medical device manufacturer would act when designing, producing, and marketing an artificial hip implant. For this reason, your Boston hip replacement injury lawyer will likely need the help of an expert witness to prove your case. Your lawyer will need an expert witness who is familiar with the requirements of the United States Food and Drug Administration (FDA) that pertain to medical devices, as well as having knowledge of production techniques and medical device marketing regulations. This does not have to be one expert, as your case might require multiple expert witnesses. The reason an expert witness is necessary is because he or she can explain complex things to a jury that likely has little or no knowledge about the requirements for safety testing of an artificial hip during the Premarket Approval (PMA) phase of clinical testing. The expert witness, once qualified as an expert, is also allowed to tell the jury his or her opinion, which non-expert witnesses can generally not do, because it would be considered inadmissible speculation. An example of one of these defective knee replacement implant lawsuits can be seen in a recent report from the Cook County Record. 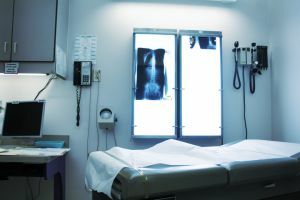 This article discusses a hip implant injury victim who is suing DePuy, which is a major manufacturer of artificial joints. This lawsuit involved the DePuy ASR hip that was designed with a unique metal-on-metal construction. Normally, artificial hips involve a cement or plastic joint, but this one was all metal, because DePuy said it would have less friction and allow patients to lead a more active lifestyle. In reality, the metal parts rubbing against one another have been proven to fatigue and break down, releasing metal fibers into the patient’s tissue and bloodstream. These fibers cause pain and tissue damage as well as the metal poisoning as discussed above. This plaintiff has claimed the defective knee will result in the need for more painful medical procedures and cause additional pain and suffering. He also alleges that the defective device has caused him to suffer permanent injuries.